It is important for people absorbs and understand the information of how world their live in works, as human basic form of learning process, science process skills serve as the tools it is not used only by the scientist in the process of their discovery, but also by the people as tools to understand information about the world. 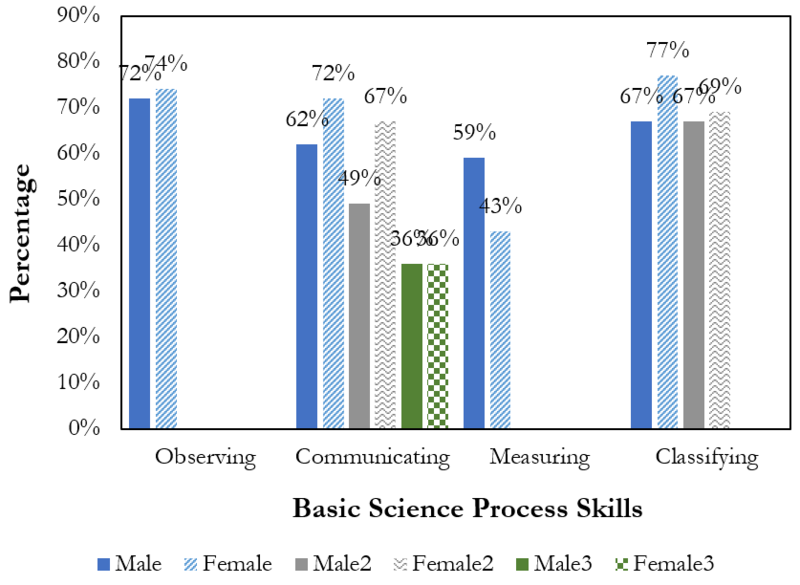 The aim of this study was to profile students’ basic science process skills, to profile students’ integrated science process skills, and the profile of students’ science process based on gender. In gaining the data this study uses observation method in students’ laboratory activity. The results of the study indicated that students’ basic science process skills used in the study categorized in a high category with index value above 60%, and integrated science process skills indicators science process used in this study categorized into two categories with; low (23%) and very high (90.7%). There are no differences more than 24% in the profile students science process skills based on gender other than male students did outperform female students.